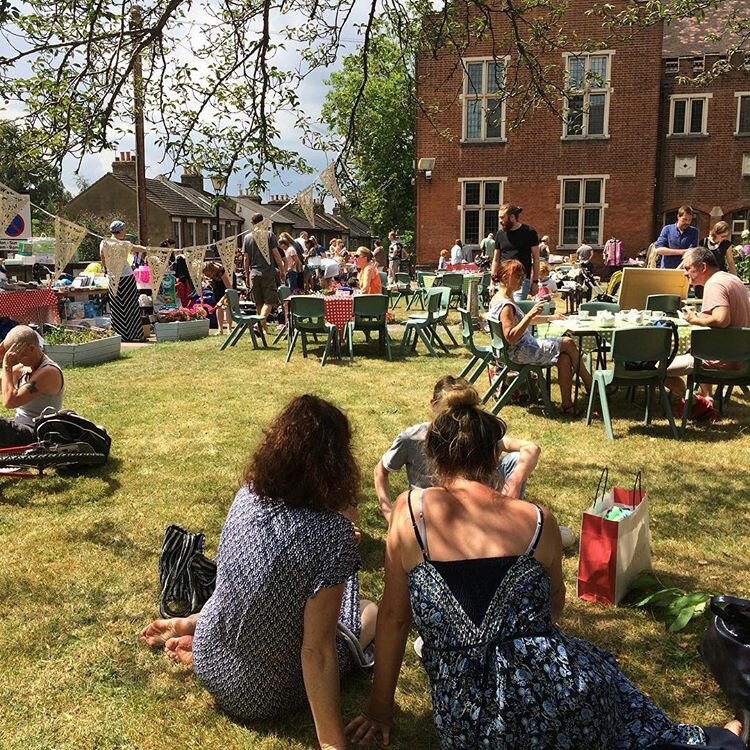 We love the fact that we can make a difference to the community in which we have lived and worked in for over 30 years, so when it comes to sponsoring School Fetes & local events we have always been more than happy to help out in any way we can! Two more of our Summer Sponsorship’s belong to the equally brilliant Gwyn Jones Primary School & Leytonstone School, we love sponsoring such events every year but this Summer was slightly different! 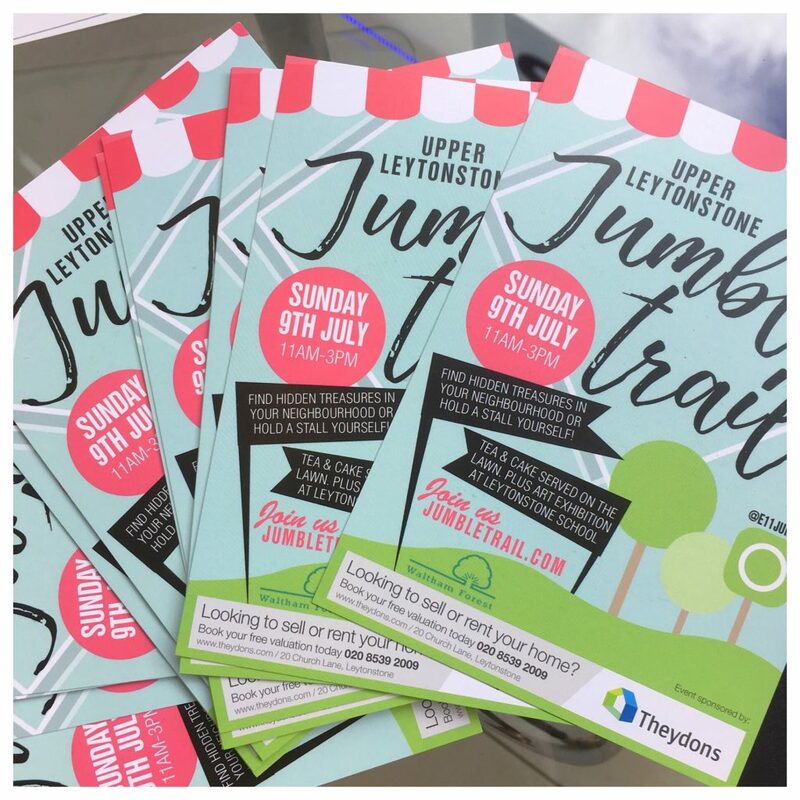 This July we helped sponsor the highly anticipated ‘Upper Leytonstone Jumble Trail’ which is organised by the friends of Leytonstone School, and what a great day it was! What made this event so different from the previous sponsorship’s you ask? 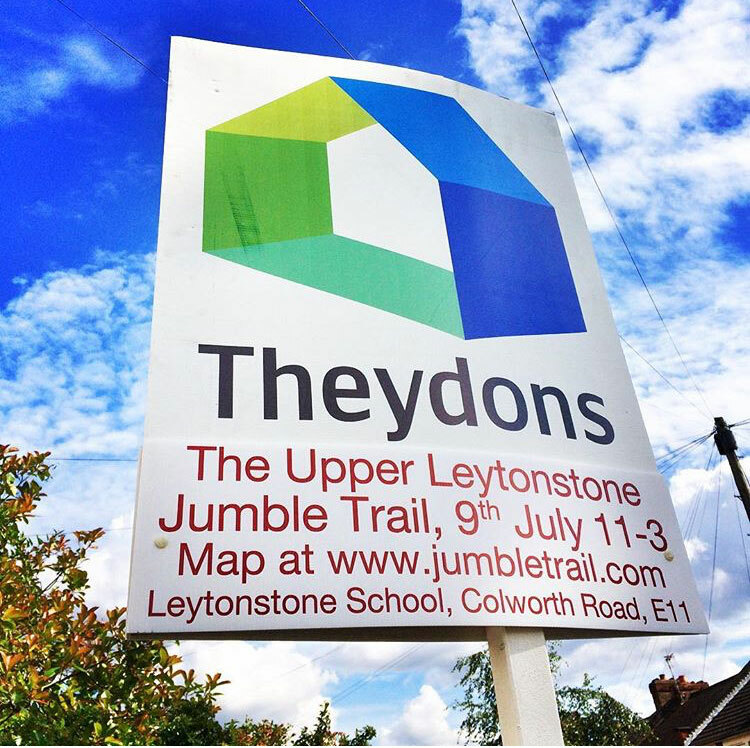 Well not only was this about helping raise money for the fantastic Leytonstone School but it was also a great way to get the local community involved and the perfect opportunity for people to meet neighbors & grab bargains at the same time! Above are the flyers in which we printed and distributed around a wide based area to help raise as much interest as we could for the community based event! We also had boards made to help promote the event, which really did help make a difference to the number of people that signed up for a stall! The day itself was a huge success and our hats really do go off to everyone involved and the FOLS for putting on such a great day for everyone! Along with our donation, the school was able to raise a substantial amount of money, helping to better benefit the further education of many children at Leytonstone School, which we makes us all here very happy! We were proud to be part of such a successful day and we can’t wait to see you all at the next event! 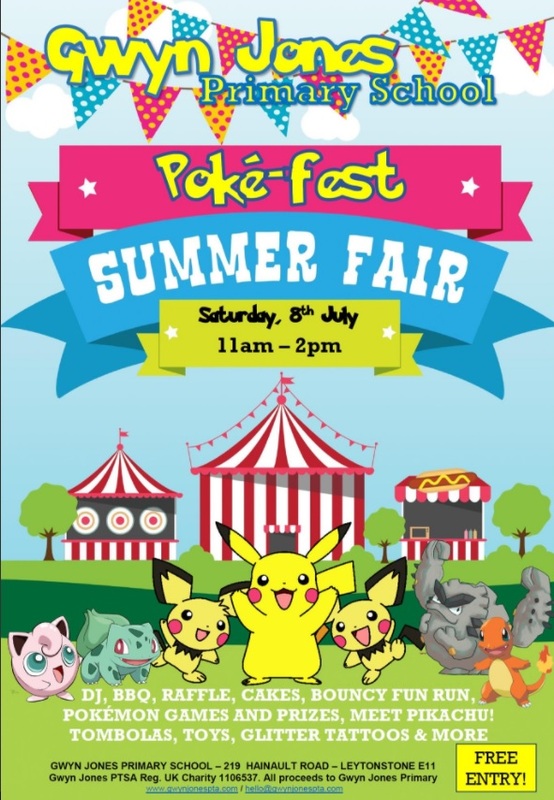 It’s always a pleasure to sponsor the brilliant Gwyn Jones Primary School and this year it looks like everyone had lots of fun at the perfectly themed Poke-Fest Summer Fair! Along with our donation to the school we also purchased a brand new Apple iPad for the fairs popular raffle and we wanted to take this time to say a huge congratulations to the winner and we hope you enjoy!! Another big congratulations goes to the amazing Gwyn Jones PTSA for year after year continuously putting on such fun events for all of the family to enjoy and for basically being a pleasure to work with!! We look forward to seeing you all at the next fair this time with our free Theydons Goodie bags!